We’re all used to cabinets in our kitchens and bathrooms. They’re standard for nearly all the homes you’ve ever seen. But do cabinets start and end there? At Mountain States Kitchen & Bath we certainly focus on kitchens and bathrooms, but we’ve been able to do some interesting things with custom cabinetry. One of our favorite new trends is going beyond the kitchen or bathroom and into the living room. More and more we are seeing cabinetry entering new living spaces in homes, and we’re not surprised. Cabinetry, quality cabinetry, is one of the best options to fill your space in a functional and beautiful way. Cabinetry is not just for your dishes – it’s for storage and functionality that improves your home life. Adding cabinets to your living room can completely transform your space. Cabinetry in the living room can create storage for blankets, extra seating, entertainment like movies and gaming systems, and even your TV! This is especially appealing if you want your living room to be more than just the movie zone. Cabinetry can be storage as well as covering the screens and speakers. Custom cabinetry can also fill out an oddly shaped living room, or add a built-in desk to dead space. Quality cabinetry can make your home instantly look more luxurious and expensive. And a few extra counters can go a long way for displays and decorations. Cabinets in the living room only work if you have the space. Cabinets can look bulky and shrink your room if they aren’t done right. Lighter cabinets look smaller and less intrusive than heavier cabinets. Ornate details can look heavy and clash with more sparse rooms. And overall, you need the appropriate space and dimensions in order to have cabinets work. Another drawback is that it can lock you into a certain configuration for your living room if cabinets are constructed along one wall or in a corner. Custom cabinetry is more affordable than you think, looks more expensive than you anticipate, and is possible for nearly every home or budget. And we don’t just stop at your kitchen. Cabinets can increase storage and functionality for your home anywhere you want it – entryways, mudrooms, garages, closets, livings rooms – and of course your kitchens and bathrooms. 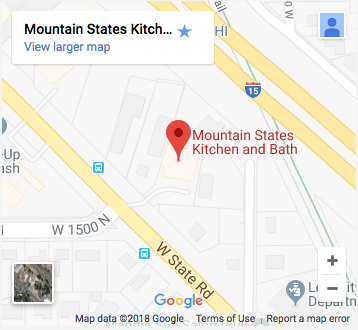 If you’re ready to see what custom cabinetry in your home could mean it’s time to call Mountain States Kitchen & Bath.